With the duo dropping this week, today Sneaker News provides with a closer look at the much-anticipated "For Player Use Only" Pack of the Question model. The selection is a nod to two of basketball&apos;s most popular ballers, LeBron and Kobe, who are of course teammates on the Nike Basketball roster. The pair of talents have no doubt been linked together over the years, each as the next coming of His Airness. 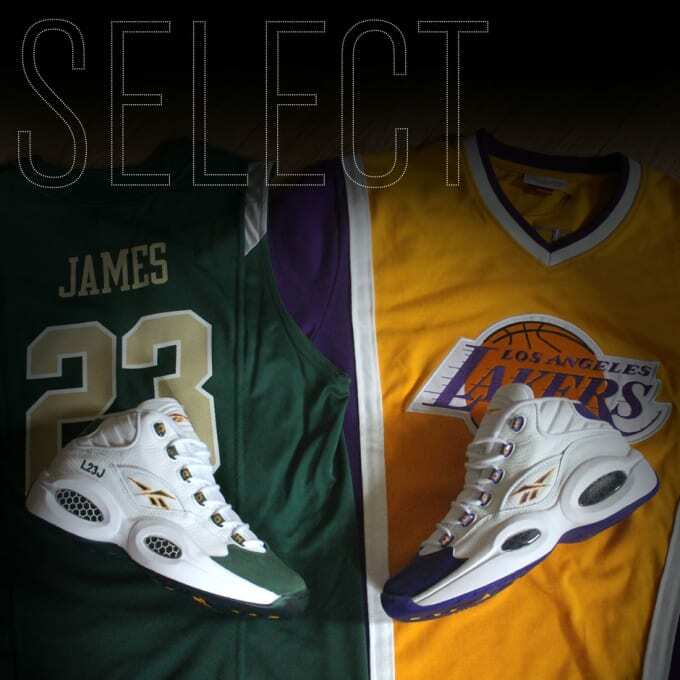 What many are unaware of, however, is that both LBJ and Kobe once donned PE versions of the Reebok Question back in 2002. With that, the brand now presents a SVSM colorway for Bron and a Lakers-proper set for Bryant. After heading over to Sneaker News to get a detailed look at each, hit up New Jersey&apos;s Packer Shoes for more release details.